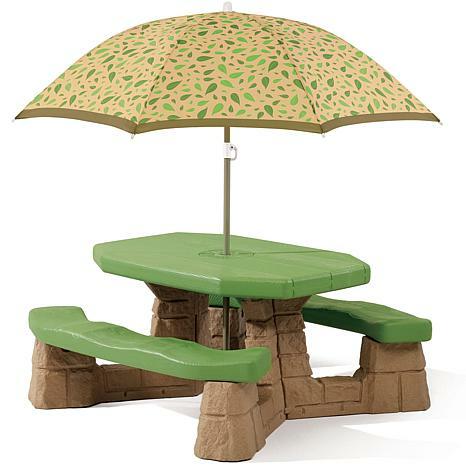 The classic, Step 2 Naturally Playful Picnic Table with Umbrella has a pleasant design that blends into natural landscapes. 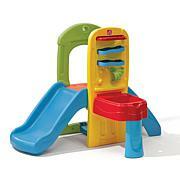 It seats up to 6 children and provides hours and hours of playtime fun! My grandson who is 3 and the other one is 1 they love it .it is built very nice and was easy to stick together .I am very happy with it. My grandkids absolutely love this picnic table!! Would highly recommend, very sturdy. 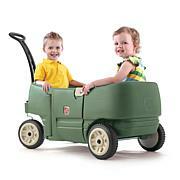 This item was perfect for my grandkids! The think it's the coolest thing! perfect...thanks HSN! This picnic table is just what my grandchildren needed. 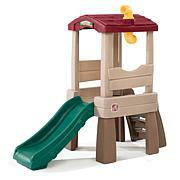 I compared prices at several places before purchasing and HSN had the lowest price on this by far. 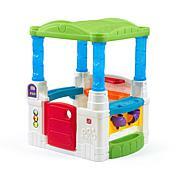 It's very easy to put together and its amazingly sturdy! The umbrella is high quality and such a blessing to have because it allows my grandchildren to play comfortably under cover from the sun. I highly recommended this. Thanks HSN! !